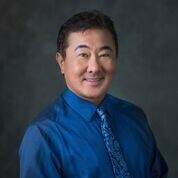 Dr. Dennis Nagata was born and raised in Honolulu. He was inspired by his mother who worked at Schofield Barracks Dental Office as a dental assistant. He realized at a young age that being a dentist can change people’s lives for the better. He founded Hawaii Center For Cosmetic & Laser Dentistry in 1979. He has been in private practice for over 30 years. Dr. Nagata obtained his Doctor of Dental Surgery from the University of Southern California. Dr. Nagata was formerly a clinical instructor at the Las Vegas Institute of Advanced Dental Studies where he lectures post graduate courses to fellow dentists. ( Lviglobal.com ) Dr. Nagata specializes in neuromuscular, aesthetic, restorative and sleep dentistry. His expertise and commitment combine artistry and technology to give his patients a smile that exudes confidence, beauty and well-being. Dr. Nagata is trained to treat Obstructive Sleep Apnea and Sleeping disorders using different modalities such as oral appliances and laser technology. Professional affiliations include American Academy of Cosmetic Dentistry, American Academy of Sleep Medicine, The International College of Craniomandibular Orthopedics and Hawaii Dental Association. Dr. Nagata has a grown daughter and son. He is an avid golfer during his days off from being a dentist.